The story of Wat Traimit and the world’s largest golden Buddha statue is nothing short of a miraculous legend. 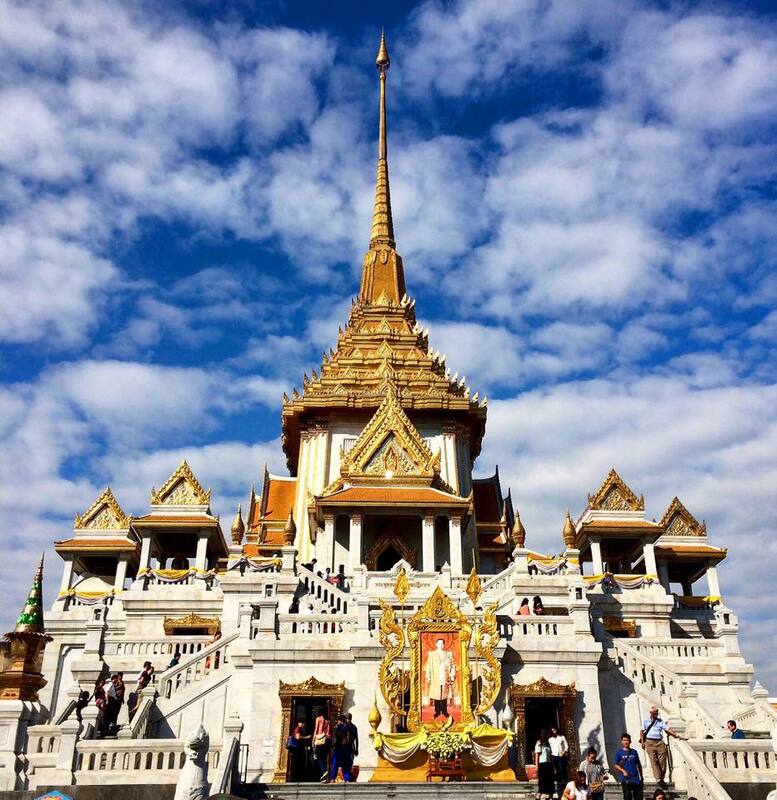 Ascend to the top of Wat Traimit and enter the gleaming shrine room. 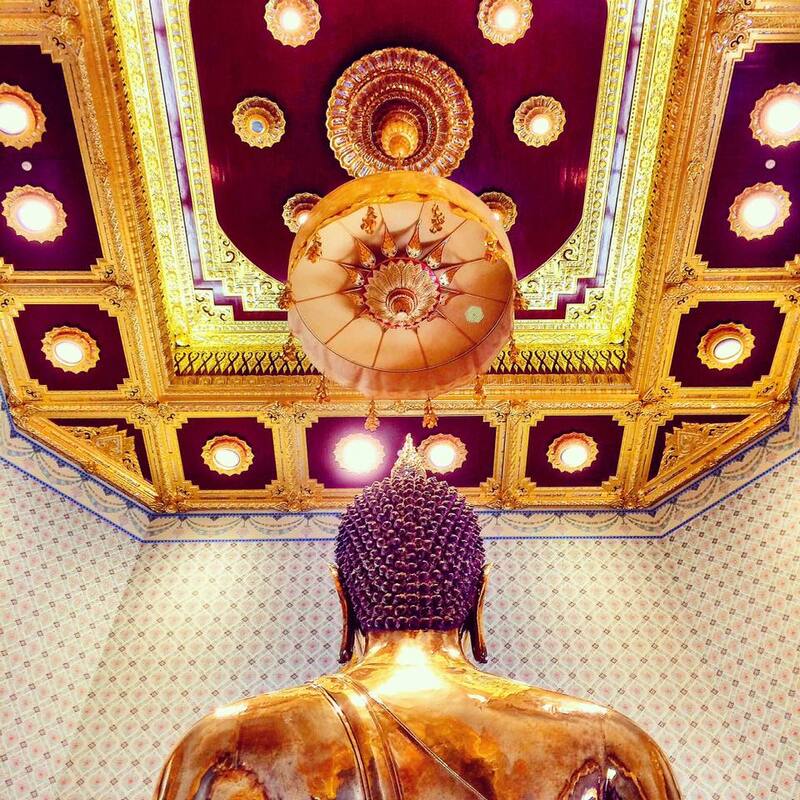 Let your eyes slowly rise up to meet the tranquil gaze of the world’s largest golden Buddha. With a weight of 5.5 tons and height between 3 to 4 meters tall, the Golden Buddha or Phra Phuttha Maha Suwana Patimakon is one of the country’s most prized holy relics in numeric value. The 18-karat gold in the statue is estimated to be worth 250 million USD. But it is its history that makes it truly priceless. 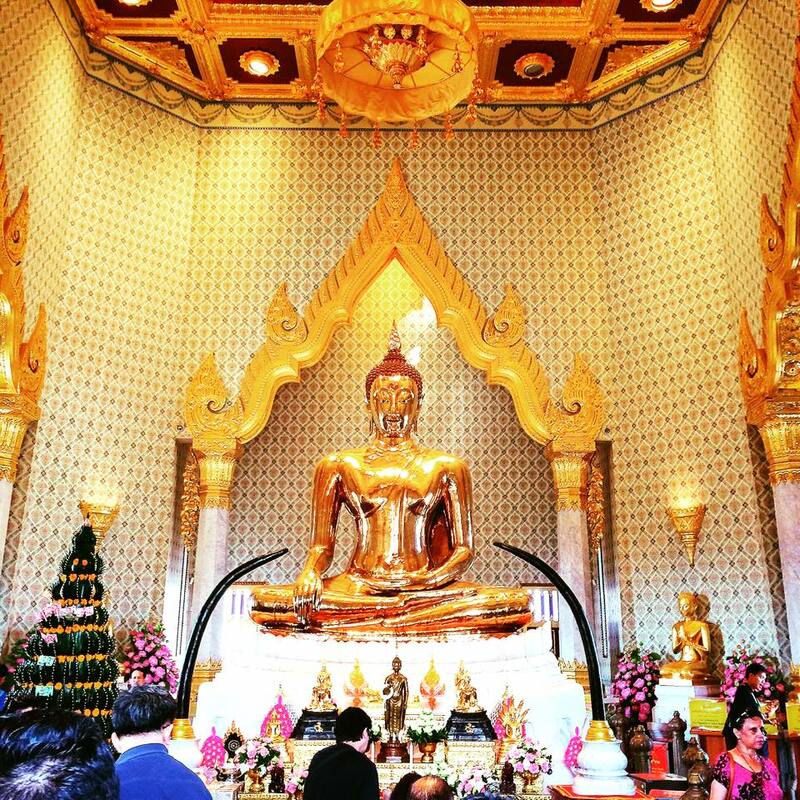 The Golden Buddha is approximately seven centuries old and has survived three distinct eras of Thai history. The story of how it reached Wat Traimit is stuff of legends and myths. Scholars have hypothesized the origin of the Golden Buddha from one clue – the statue’s egg-shape head. This points heavily to the Sukhothai Dynasty style, which would mean it was casted in the 13th or 14th century. Some say that because of metal figures were made in India during that period before being exported to other countries, parts of the Golden Buddha may have come from India. In the 1400s, the statue was moved to Ayutthaya. During warring periods, in prevention of being stolen by invaders, the statue was covered with a thick layer of stucco. The cover up did its job so well that it remained untouched in the Ayutthaya ruins even after the fall of kingdom. In the 1800s, the statue was moved to Wat Chotanaram in Bangkok’s Chinatown. Again, the temple fell into disrepair and the statue largely forgotten until another decision to move it to Wat Traimit. In May 1955, as workers attempted to move the statue, the fates decided it was time for its rebirth. Ropes broke and sent the statue crashing to the ground, breaking the stucco layer for the first time. The workers saw the shining gold underneath and the rest is history. 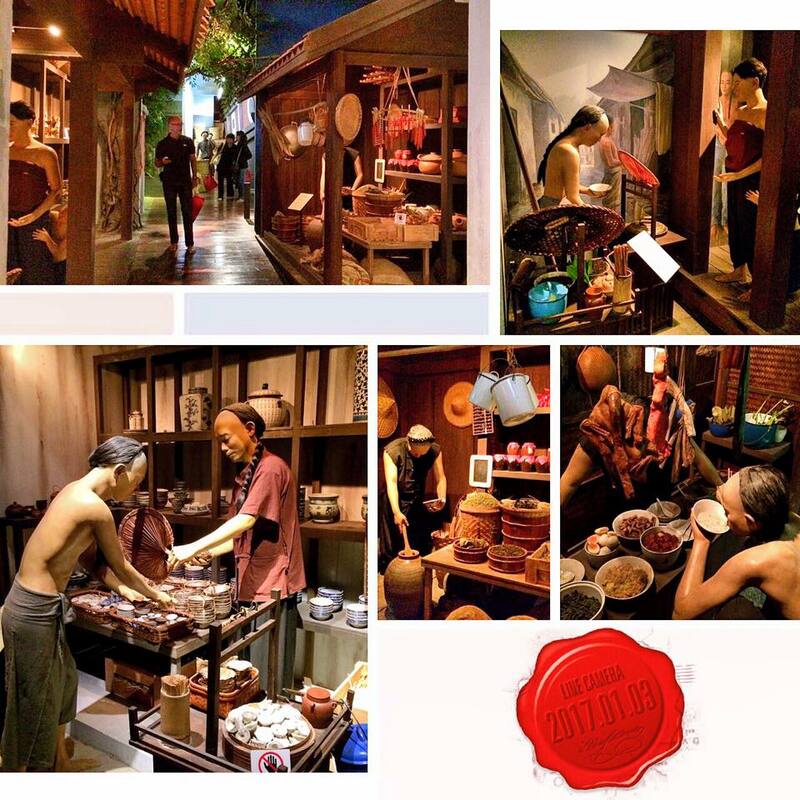 Today, Wat Traimit seeks to tell all about the Golden Buddha’s fantastic journey. 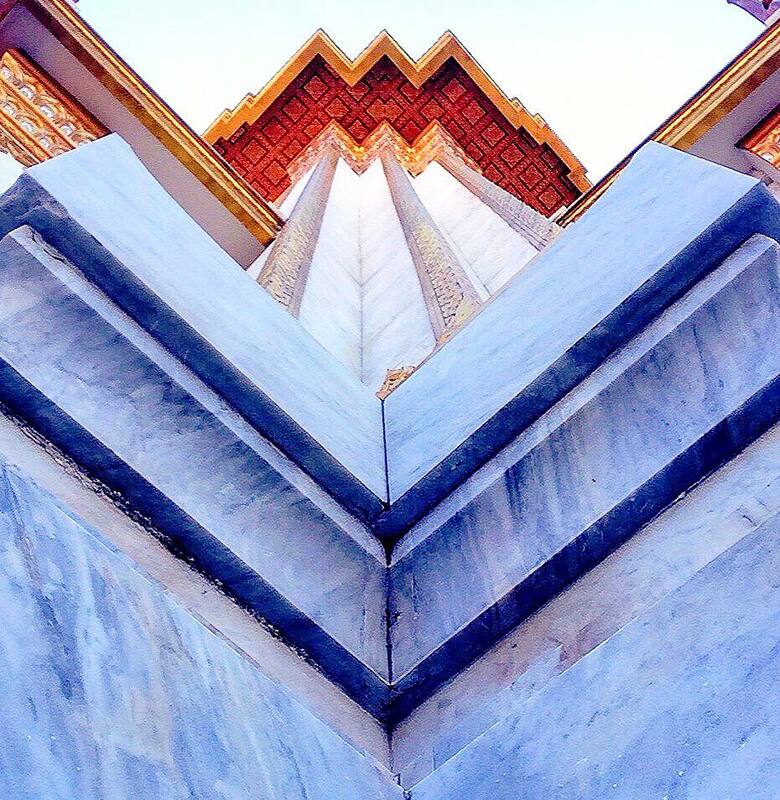 It has a floor dedicated to not only its history, but also how it was made and conserved. The temple has recently began to realize the importance of its locale as part of its heritage. It houses the Yaowarat Chinatown Heritage Center dedicated to showing migration of the Chinese to Bangkok.